start a new thread as your circumstances may seem the same but theire may be differences in such areas as where the vehicle was at the time etc so please tell us the whole story with dates and times etc. We dont need to know about you granny needing the toilet, that isnt a contratual issue, just mitigation and these people dont give a monkeys becasue it is all about the money for them. 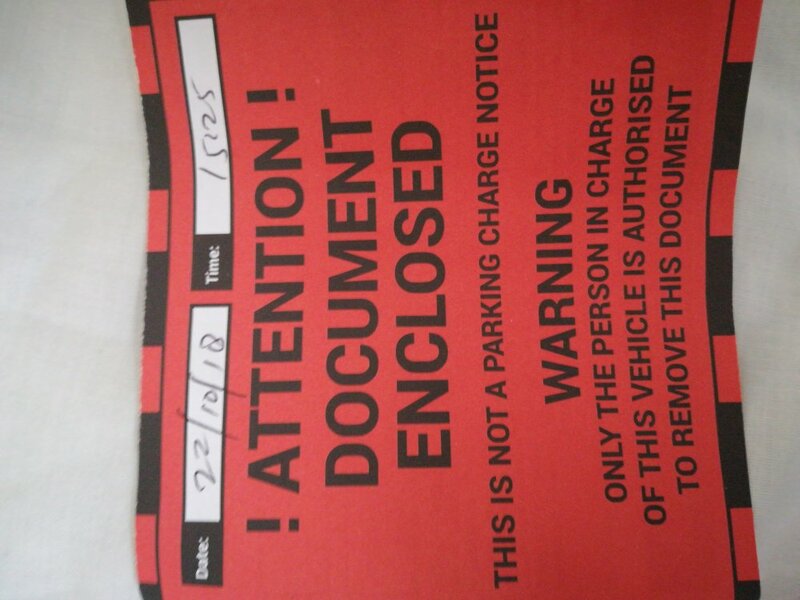 I found this notice on windscreen had parked in disabled bay without Blue badge with an elderly disabled person and paid and displayed a ticket. Showed the office the bb but was told to appeal instead seemed a bit dodgy to me as he saw the evidence he should have cancelled this notice or whatever it was. I went on the site and it's asking for serial number etc . Not sure if I should appeal to their better side by explaining the circumstances because it doesn't seem like they have one! This was in Stockport peel centre. The only thing I have done as of yet is emailed to maxx as that's where I made a purchase. I've read through alot so know to ignore till k get a PCN to keep ( which I hope I don't) but not sure what to do when I get that through post. and pop your attachments up as PDF..read upload. in the meantime get reading those threads above. oh dear they are then claiming this was an ANPR camera capture, which ofcourse it wasn't...bang they've shot themselves in the foot, they should have waited 29-56 days. just obscure anything pers like reg/name/address/ref no's. I tidied the thread and moved the corrected version to you above post. this will be an interesting case as they've used operator pictures to claim it was an ANPR capture when it wasn't so have jumped the gun with the NTK and shot themselves in the foot. the experts will be along Monday. I noticed you'd posted to a JLA airport thread, which is of no relevance to you at the peel centre as airports are gov't by byelaws so I remove that to stop confusion. does the disabled space ahve the regulation blue and white plate? have you read any of those other peel centre threads...? - they wont have bothered to check but even if they did they are just too greedy to give a toss, they want your money and that is all they care about. another is that blue badge scheme doesnt apply to off street parking but the stores have to have disabled parking or they get clobbered by the council and dont get planning consent. Now in scotland the blue disabled parking plates do mean somehting so that means a paint job isnt enough to make a disabled bay legally enforceable regardless of what the council planning people want. the method used to send their demand is dubious as it relies on an interpretation of the law that wasnt intended and certainly the slapping of the red ticket makes it look like one method is being used so they should follow that protocol. they dont because it delays them grabbing the money and they dont rely on keeper liability anyway so why pretend to follow the law? for this last reason it is wise to still say nothing until 2 months have passed since the issue of the red screen damaging blurb. 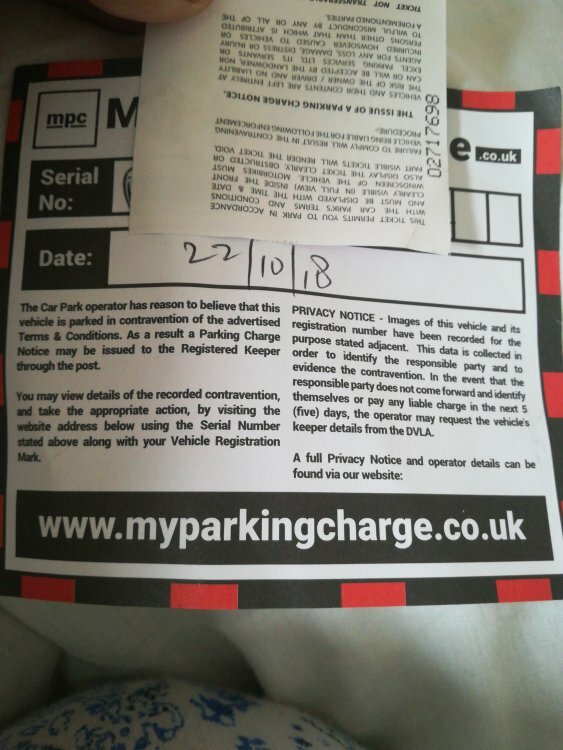 now that would be an interesting challenge, as they arent issuing you with a deamnd why are they placing anything on the car and risk being sued because they cant use any of the info inside the envelope as evidence.